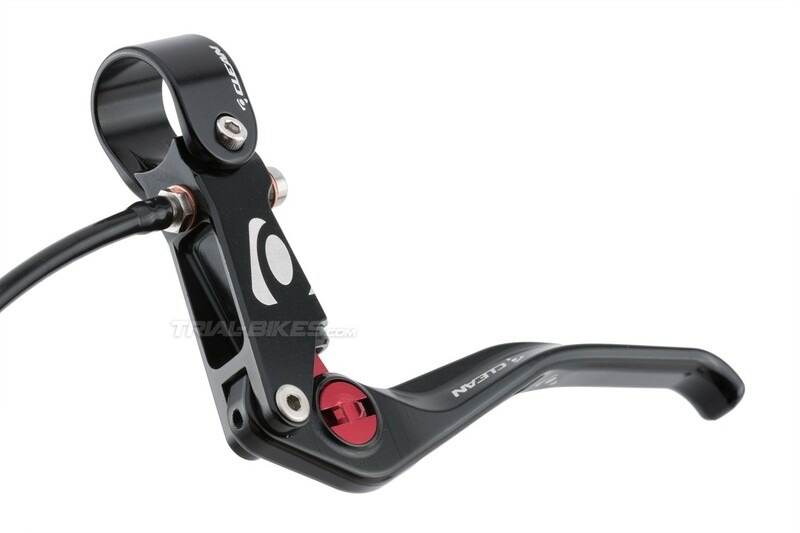 - High quality Clean T13 HS hydraulic rim brake. 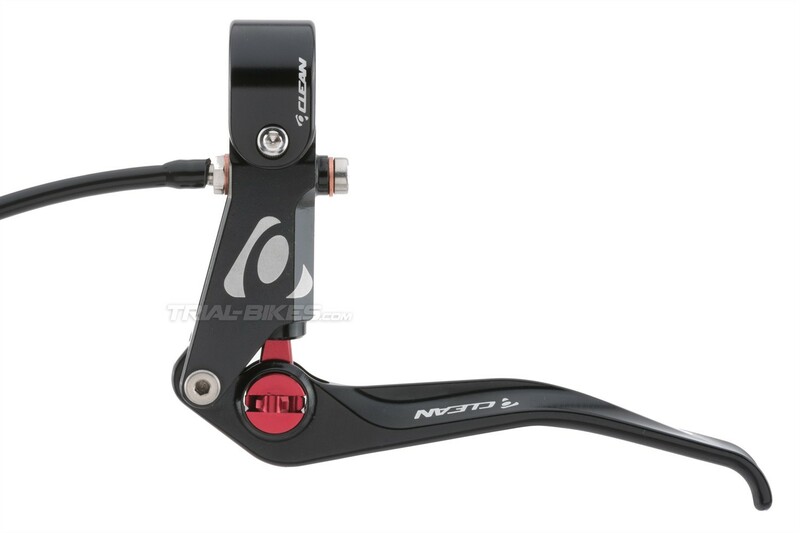 - This brake features a Clean T13 rim brake lever and Magura slave cylinders, and it’s been attached and professionally bled by our TrialBikes team. - 1200mm long PVC hose (standard rear hose length for 20”, 24” and 26” bikes). 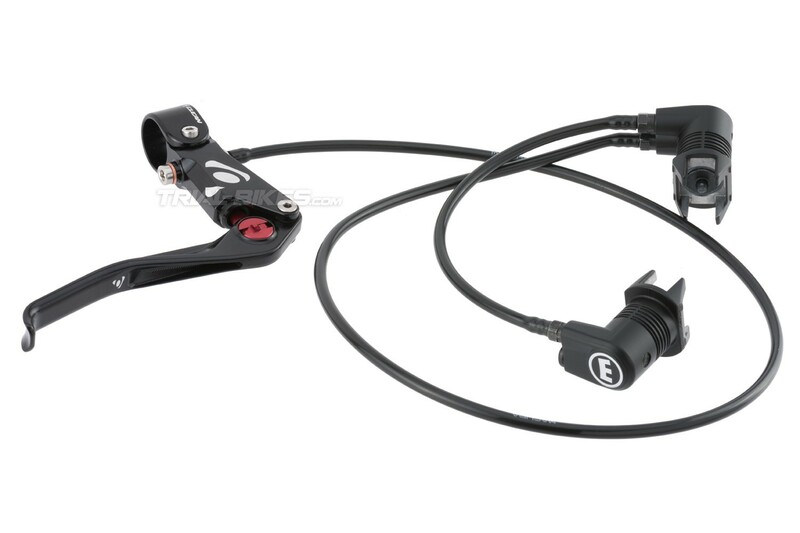 - Includes an additional olive, so that you don’t have to re-bleed the brake when cutting down the hose (the standard front hose length for 20”, 24” and 26” bikes is 750mm). - If you’d prefer us to shorten the hose to a specific length, please write it down in the Comments box when placing the order (the order might be delayed 24/48 hours). - Sold individually: 1 complete brake (does not include brake pads, clamps or cylinder washers), and it’s already bled with hydraulic rim brake fluid, ready for use. - You can find the best bike trials brake pads available here. - CNC-machined from a single billet of high quality 6061-T6 aluminium alloy. - 13mm diameter piston allows for 16% more braking power than 14mm pistons. - CNC-machined, 6061-T6 aluminium TPA wheel and pin. - 125mm long, CNC-machined Clean lever blade. - Lever reach can be adjusted thanks to a bolt located at the front of the lever blade, using an Allen key. - Removable, 2-bolt clamp design, which prevents any leg damage and also allows you to remove the lever without needing to remove the grips. - Stainless steel bolts and connectors. - Manufactured from high-strength aluminium alloy. - Each cylinder has an M6 port and an M8 port (M6/M8). 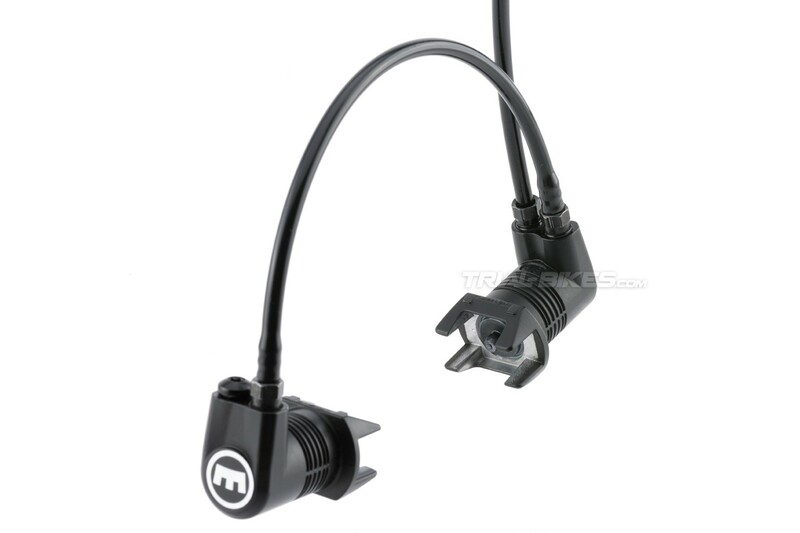 - Official Magura connectors, made of super-strong steel. - The brake can be bled with mineral brake fluid (do not use DOT fluids!). - Compatible with most rim brake pads: PowerPad, TNN, Heatsink, Racing Line and those with similar backings. - Compatible with most brake clamps. - Black lever body, black lever blade and white laser etched Clean graphics. - Black slave cylinders, with white Magura graphics. Thank you for getting in touch. The bleeding port on the Clean lever requires a M5 bolt. You can also try and bleed the brake by connecting the syringe to the slave cylinder, letting the air/brake fluid come out from the lever. Let us know if you need any further help, we will be pleased to help.